Brian Ewald has practiced law in the Cincinnati area for nearly a decade. After graduating from the University of Cincinnati College of Law in 1998, he founded his own firm that specializes in litigation, insurance law, business, domestic relations and criminal law. Mr. Ewald belongs to the Ohio State Bar Association, the Association of Trial Lawyers of America, the Ohio Academy of Trial Lawyers, and the Cincinnati Bar Association. 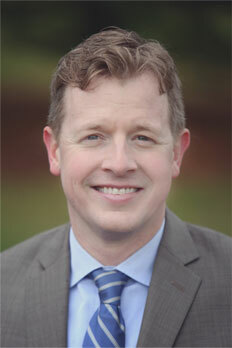 Mr. Ewald founded the Law Firm of Brian A. Ewald to provide a personal level of service to every client he represents. Our firm fights hard for those that need representation the most, all at a reasonable cost. We also believe that the most import aspect of any representation is honest communication between the attorney and the client. Mr. Ewald practices law throughout Ohio, but a significant portion of his practice occurs in Hamilton, Warren, Clermont, and Butler Counties. In addition to practicing in Federal Court, Mr. Ewald handles cases in Municipal, Domestic Relations, Juvenile, Common Pleas, and Appellate Courts. He has substantial experience trying cases in front of juries and appellate courts, as well as presenting cases for arbitration, mediation, and other forms of alternative dispute resolution. We will zealously represent your rights and take special consideration of your needs. While our dedicated staff will assist in your representation, you can be assured that you will always deal directly with Mr. Ewald who is accessible twenty-four hours a day to serve his clients. Please feel free to contact us by submitting a request for a free consultation.